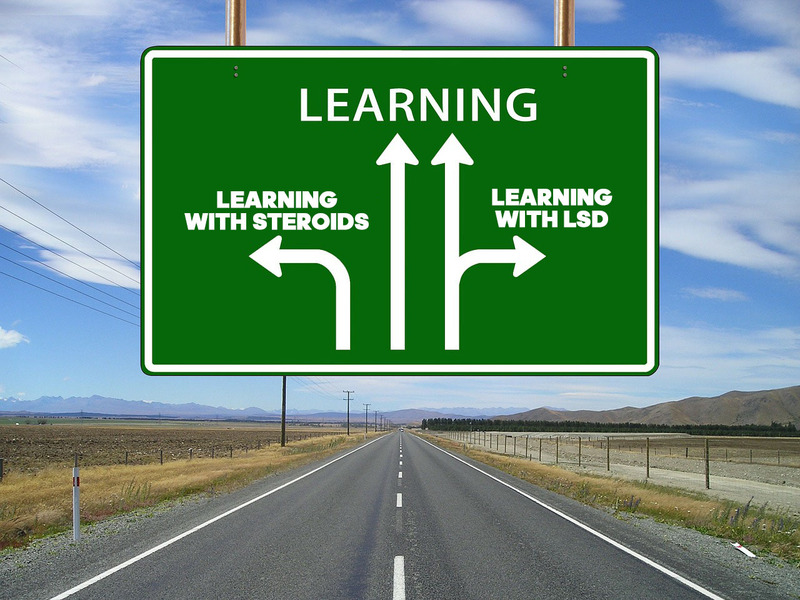 will steroids help for a student to learn faster? It is now a well-established fact that anabolic steroids can make you stronger, bulkier, in a short time. Therefore, no surprise that many people even in professional sports are using them. If they are used wisely, they are quite safe since they are quite close to testosterone in their structure. Anabolic steroids may also improve muscle memory and help learn physical tasks faster. This is the reason why they are not only loved by bodybuilders but equally by football players or people of different sports. If steroids may make you physically smarter, does it mean that they can also make you mentally smarter? Can they improve learning skills and memory? It seems that what can make you physically smart, does not necessarily makes you mentally or intellectually better. Anabolic steroids or testosterone are typically taken at extremely high doses to improve sports performance. It means that athletes may take them at doses 100 times higher than recommended medically. At medically acceptable doses side effects are minimum and steroids will not have any impact on the mental abilities. However, things will differ when steroids are abused over a period of several years. Steroids make a person feel better and confident, and thus they are psychologically addictive. At the extremely high doses, they cause “roid rage” or an increase in aggression. It seems that changes in the brain occur only on prolonged abuse. Before moving further into the discussion, it is important to note that steroids will neither improve memory and nor worsen if they are used appropriately. However, on exceeding doses continually, they may harm health. During recent years, a number of clinical trials have focused their attention on the steroids use and mental abilities. These studies found that steroids abuse may interfere with certain kind of cognitive abilities, making them worse. Steroids may negatively effect on the short term and long-term memory. In one of the studies, researchers compared the mental performance of 100 males aged 18-30. Among them, half were chronic users of steroids and half of them never used steroids. The research found that regular steroids users were 39% more forgetting in comparison to those who never took steroids. Similarly, they demonstrated poorer mental abilities in planning future among steroids abusers. In yet another research, it was found that those who used steroids for several years had a problem in remembering locations, things, colors, and so on. In the language of science, it is called impaired visuospatial memory. Science seems to indicate that years of steroids abuse will only make memory worse. Further, researchers think that it is entirely possible that prolonged steroids use may also worsen other mental abilities. In summary, it can be said that steroids may make you look smarter. They may help you get physically fit, but they must be used with caution. In the short run, they will not affect your memory or mental abilities. But abusing them at high doses for years together may make you a forgetful person.